We had a birthday party at the kindergarten. The party was for the children who was born in April-July. My little monster was born in July, so he was happy to listen to "Happy Birthday" song for him. The lunch was served by moms including me. I was tired, but his smile refreshed me. 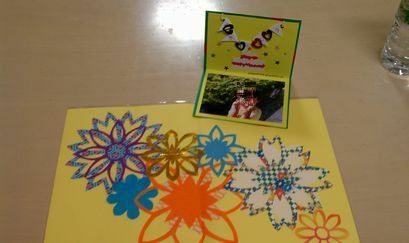 The mat and card were made by moms in elder class. How cool they were!